If the summer belongs to the air conditioner, the winter belongs to the defroster. 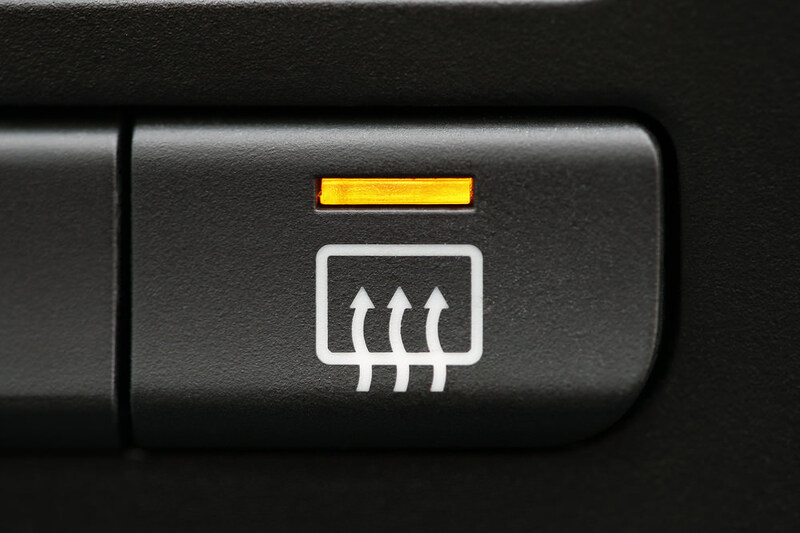 The unusual pictograph of arrows rising up toward an arc goes unused for much of the year, but becomes an essential part of driving once temperatures start to drop. But why do our cars, which are so intensely engineered that they can shift gears better than most people, have such a hard time getting un-fogged? The simple answer, as you likely know, is that while our cars are engineered to perfectly combat many things, condensation is not one of them. When the air inside your car is warmer than the air outside your car – and in cold weather, this will almost always be the case – moisture can condense on the inside of your windshield. It’s a reality of physics that there’s no readily available way to prevent, but fortunately for those of us pulling out of a chilly parking lot, there is a way to alleviate the problem. Front windshield defrosters work by blowing dry air up at the moisture on your windshield. Since your air conditioner utilizes a compressor, your defroster is not only heating (or, if the situation calls for it, cooling,) but is also dehumidifying, which is a double-whammy for that pesky moisture build-up. We hope that this admittedly rudimentary explanation helps you better understand the defrost button. It’s nice to be able to have solutions to problems at the push of a button, but we find it’s helpful to understand what exactly that button is doing – especially if it ever stops working! « Santa Cars are Coming to Town!